“Do it for the gram,” whispers one friend to another. What’s the gram? Why are people doing it for the gram? What are they doing? 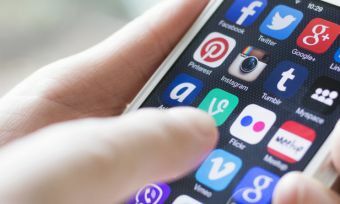 To put it simply, we have all become obsessed with ourselves, and – more particularly – our online presence – and there is one social media platform that seems to be spurring us on a little more than the others. We are, of course, talking about Instagram – the site hit 1 billion active users in June 2018. 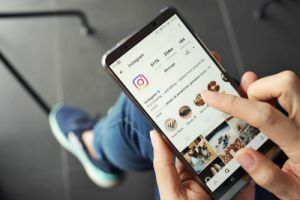 With such a rise in popularity, and at such a dramatic rate, there’s no surprise that we have become consumed by Instagram. More and more people are striving for follows, likes and the expanding of their profiles – and are doing whatever it takes. Put simply, ‘doing it for the gram’ has turned into a phenomenon (and not to generalise, but Gen Y and Z seem to be the main perpetrators). But fear not, there are ways to gain followers and increase engagement without doing something stupid, or dedicating your entire life to the gram. So, without further ado, here is Canstar Blue’s self-help guide to gain more followers on Instagram. We are doing this for you, for your gram. 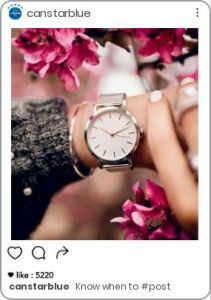 Your Instagram is yours and only yours, so you need to create a consistent and coherent aesthetic. You want your followers to recognise you when they are scrolling down their feed, and they want to know what they can expect from you. For example, you may always use similar filters and editing like Kim K’s ‘fake middle class’ filter phase or you may be into scenic photography and only post travel photos. Whatever it is, stick to it. Remember, you are your own brand. Hot tip: If you are a feeling a little bit extra, you can take the time to plan out the look of your feed on an app like Preview which lets you design and maintain your aesthetic! Coming in hot, and something else many are deeply passionate about, is the use of humour throughout your profile. Take advantage of the new Instagram stories (we will go into more depth about these later) and captions! Make people laugh and want to see more of your profile and posts. Trust us when we say there is nothing worse than a beautiful Instagram profile with zero personality. In a social media network full of creatives and talent, you need to do everything you can to stand out. Shove your personality down their throats. Hot tip: Keep a page of notes on your phone where you jot down anything funny that comes to you, or you hear, in case you want to use it as a caption later on. If there is only one thing that you take away from this article, let it be this; don’t compromise your dignity for too many hashtags. Your followers will only want to see a maximum of two hashtags per post. Gone are the days of #like4like #summer #days #are #here (unless it’s done perfectly ironically). Make sure your hashtags are on brand or in relation to the post. Hashtags can be very effective if used wisely. Hot tip: If you’re on public, hashtags will be a much more effective tool to be utilising than if you are on private. Think about what people will be searching, particularly in relation to what you usually post. Instagram stories are the new billboards – seriously. The feature, which only launched mid-2016, has quickly become a powerful tool in reaching a wider audience. Use it to post about your day, add layers and effects and tag your friends and location. The snap only lasts for 24 hours, so go crazy! Even people that don’t follow you (as long as you are on public) can view them, so take it as your opportunity to gain even more followers! 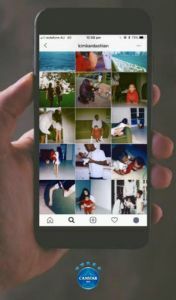 For those of you who are already familiar with this tool and are deeply attached to your brilliant stories, great news – Insta has recently introduced story highlights. This allows you to curate all of your clips together in different sections, and they live permanently on your profile! Utilise this as much as you can, and showcase your best content to your followers (and others)! Hot tip: The explore page also features a live story for the current city you are in – so add your location to your Insta stories for a chance to be featured and grow more followers. Ah, the (millennial’s) age-old question. Should you keep your profile on public for everyone to see or keep it hidden and force people to request to follow you? To be honest, there are pros and cons to both. Being on public, everyone has visibility to your profile and can look through all of your posts and story highlights. 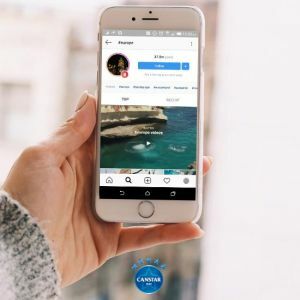 You also have the opportunity to appear on the Instagram explore page and public Instagram stories, through carefully curated hashtags and geographical locations. Being on private, however, adds an element of mystery to your profile. And there has been a lot of research that proves that setting your account to private actually increases your followers. Reid Hailey, the founder of Doing Things (a media company that manages a network on Instagram paged with a collective 14 million followers) told The Atlantic that before one of his large accounts went private, it was growing at an average of 10,000 new followers per week. But once he flipped to private, the number jumped to 100,000 a week. Interesting. At the end of the day, it’s up to you and what you feel most comfortable with. Hot tip: If you’re at a live, public event like a sports game or a concert and are on public – it’s time to get on that Insta story grind! People who are interested in that event will be watching the hashtags or geo tags – and you may gain some followers with similar interests. You’ve edited and perfected your photo – and now all is left is to post it. You want the post to reach the maximum audience it can, and that all comes down to timing. Between 5pm and 7pm is arguably the most effective time to post. Highly underrated, a bio is an important aspect of your Instagram profile. A bio is front and centre of your profile, and one of the first things that people will read when they visit your profile. Make your bio show off who you are, (personality, personality, personality, remember?!) If someone is Insta surfing and they happen to land on your account, especially if you are private, an interesting bio is a must-have.